The Seahorse is one of the most beautiful and elegant of all marine animals. They are truly special, and not simply due to the fact that their uncommon equine shape. Unlike the majority of other fish, they are monogamous and mate for life. Rarer still, they are amongst the only animal species on Earth where the male bears the coming young. 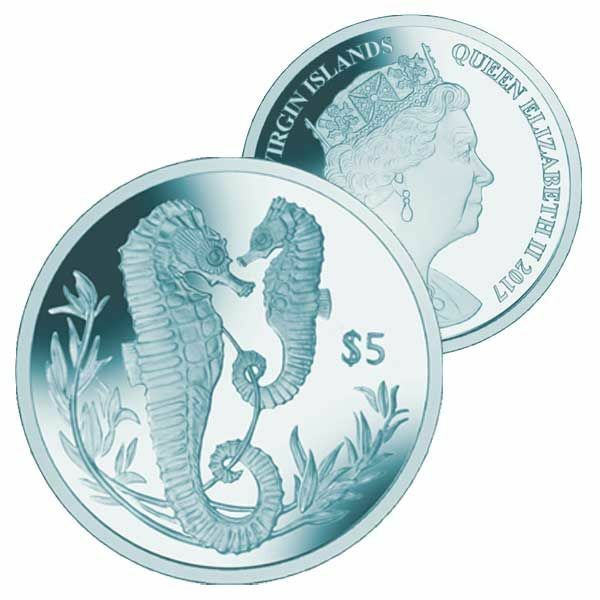 This New 2017 coin illustrates a beautiful image of an adult and baby seahorse with their tails entwined around seaweed, producing a wonderful and distinctive scene that makes certain to be popular with collectors everywhere. The coin has been produced in Turquoise Titanium to imitate the warm seas where it lives and is also available in Cupro Nickel and Proof Sterling Silver. 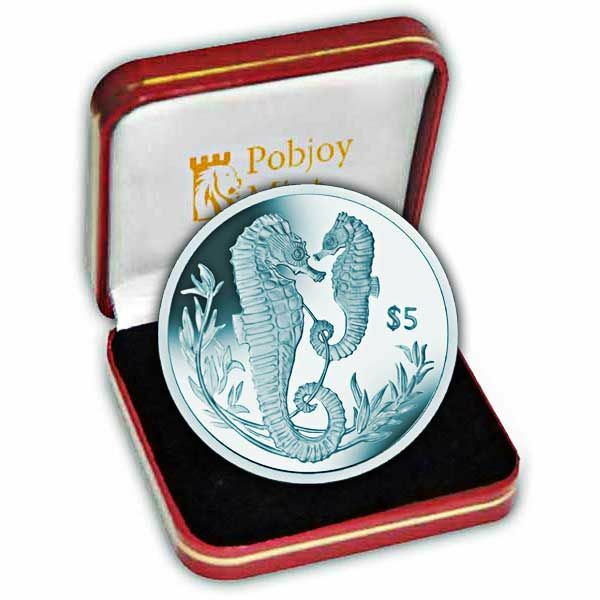 Due to the difficulty of striking Titanium coins and the reality that Titanium responds in a different way with every strike, each seahorse coin is technically different from all others. There is also a lined result that is present on the coins which is distinct to this metal.